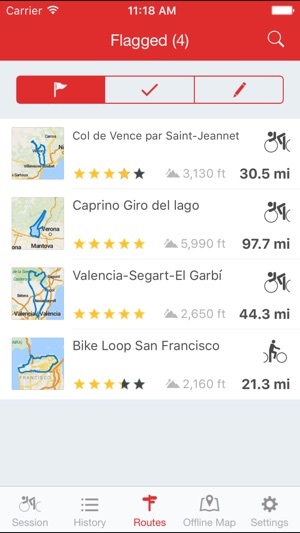 The Runtastic Road Bike app, developed by road biking experts, turns your iPhone into a top GPS cycling computer with an array of incredible features! Track your tours, races and rides with your iPhone, monitor your training progress and compare your performance to your friends’! Become a part of the Runtastic Community with millions of enthusiastic users. - Track bike tours via GPS: Distance, duration, speed, elevation gain, pace, calories burned, etc. 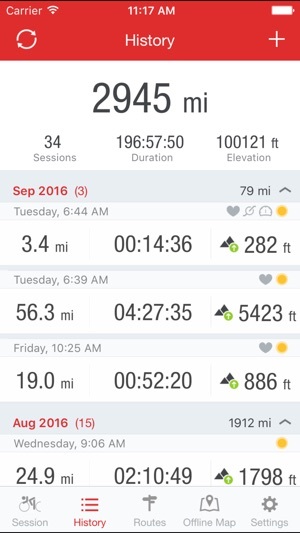 Whether you’re a beginner or a professional bike athlete, this app has everything a (road) biker could wish for! Wonderful, but more can be done. 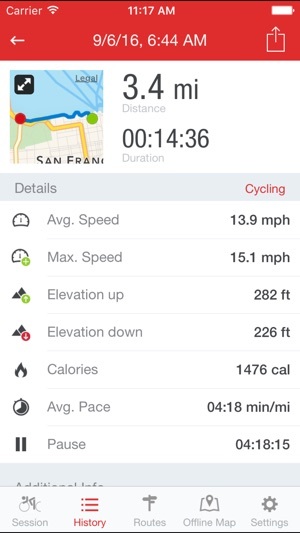 I’ve used Runtastic Road Bike Pro for a while now, and everything works well for me feature-wise. 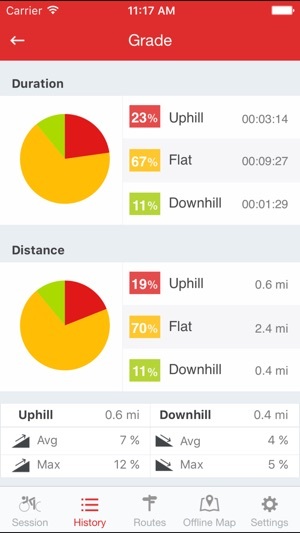 The elevation charts and heat maps have been very useful in analyzing my riding during races, or just recreationally. 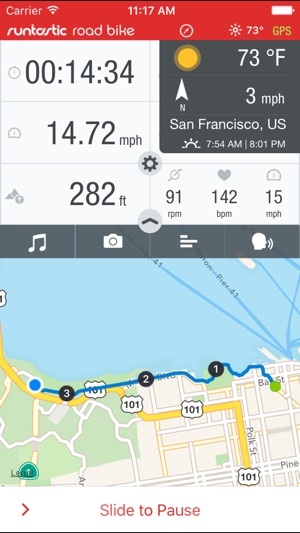 It’s a good app, and the team at Runtastic should be proud of what they’ve accomplished. My biggest gripe is that there is still not yet an Apple Watch interface for the app. I was hoping I’d be able to pause/resume my ride without having to retrieve my iPhone from the saddlebag, or be able to quickly check on my pace, time elapsed, cals burnt, current HR, etc. Having quick access to this data during a race can keep a rider motivated to finish strong, or help riders with pacing themselves. In fact, adding a “bike computer” in the form of an Apple Watch version of the app would give it a significant edge over the competition. Aside from that, I’ve also noticed the app is a battery hog. Perhaps that’s on my end, but any kind of optimization to reduce the battery usage goes a long way to extending the range a user can track a ride. Workout integration would also be great, but that’s less important to me. I rated the previous version of this app 5 stars but am now rating the current version of this app 2 stars. This app is now officially messed up. If you stay within this app the entire time you use it you will likely be OK. However if you leave the app, for example to check mail and you forget to return to it soon, you risk losing your session. The app may stop recording your session. Initially when you leave the app there is a blue banner at the top that says the app is using your GPS. This banner takes valuable screen space and makes using other apps more difficult. If this banner every goes away while you are using a different app , then your session has stopped recording. The worst part of this though is if you don't notice the session has paused and you return to Road Bike, your previous recorded track information may be compromised. You are given the option to continue the session, but the stupid app often throws away you track and draws a straight line from where you started to where you are now....very annoying. The change they made to this version may save battery but it's not worth it. Also this app does not allow you to record waypoints nor measure distances. I like this application a lot and I also like and appreciate the web support which allows me to view my route history online or within the application. The technical support is also very friendly and helpful. Hey there, have you already submitted your problem to our Support Team? If not, please submit a ticket to us at help.runtastic.com. We look forward to helping you resolve this issue. Roadbike pro is the most annoying app I use with regularity. Runtastic crossed the line when they gave me the option of giving them a five star rating or not reviewing at all. I tried sending emails expressing my concerns but received no response. You should consider these points prior to purchase. Pause and resume buttons are much too small to use, particularly during oxygen debt. If you miss the button the screen shifts and you must find buttons that are even smaller to return to the original screen. The scale of the map (about 500 yards) it's not useful for a cyclist; it should be about five miles (or adjustable). Map display should be 'track-up' or 'north -up' according to the riders preference. North-up is the only option the app offers. It is possible to add remarks (such as wind speed), but the clutter of emojis makes it impossible to see what you are writing. Thank you Runtastic. You have a mediocre app!